Where Can I Find Kia Soul SUVs for Sale Near Me? Are you asking yourself, ‘where can I find new & used Kia Soul SUVs for sale near me?’ Shawnee Mission Kia offers an exceptional selection of new, used & certified pre-owned Kia Soul Subcompact Crossover SUVs for you to browse and test drive in Kansas City. REASONS TO PICK THE KIA SOUL? If a subcompact Crossover SUV is in your crosshairs, the Kia Soul is certainly on the ‘must-drive’ short list. Inside and outside, Kia’s peppy SUV is loaded with bells, whistles, and more than a handful wonders. Still, don’t take our word for it. All it takes is a test drive to fall in love with Kia’s Soul. Looking at the Soul’s powertrain specs on paper might not raise many eyebrows, however once you’re behind the steering wheel, the 1.6-liter 4-cylinder will certainly result in a lot more than a good impression. Take Kia’s turbocharged version with the 7-speed dual-clutch automatic transmission for a test drive and your eyebrows won’t be the only thing that’s raised. For the technophile, Kia has loaded the Soul with all the high-tech wizardry trendy drivers need. Hands-free Bluetooth connectivity, state-of-the-art touchscreen infotainment centers, rear camera display and more easily transform the Soul into your home away from home. One look at the safety specifications on the Soul validates Kia’s devotion to motor vehicle safety. Bumper to bumper, the Soul is packed with safety features from a full set of innovative airbag technology to automobile stabilization systems, tire pressure monitors and a lot more. When it comes to safety, operating a Kia is remarkably good for your soul. 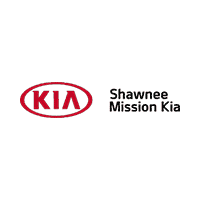 Stop by Shawnee Mission Kia today to test drive a new, used, or Kia certified pre-owned Subcompact Crossover SUV in Kansas City. Our knowledgeable team of Kia specialists are standing by to help you find the perfect vehicle. View our inventory online, stop in, or call (844) 899-7927 today to learn more. We look forward to serving you!